Caribbean Lifestyle Media-Tony 'CD' Kelly is one of Jamaica's top producers who has worked with many artists including Sean Paul, Foxy Brown, and Wayne Wonder. You may remember the popular and infectious "Bookshelf Riddim ", produced by Kelly which spawned a slew of hits. It was no surprise when Rodney Hill of RHH Music Corp introduced us to Wayne Anthony's music. Wayne Anthony born in St. Mary, Jamaica, and raised in Fort Lauderdale, Florida has been quietly working with Kelly and preparing himself for a blast onto the international stage. 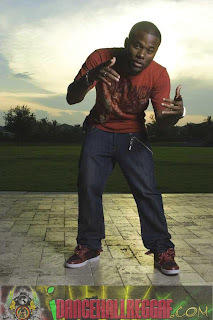 Wayne Anthony was featured on Mr. Vegas, "Pull Up " in 2003 (watch video here). Anthony recently completed two new tracks, mixed and co-written by Tony "CD" Kelly. The first is 'No One' produced by Bronko and the other is 'So Irresistible' produced by Nastic Music.